classic campbell: A Christmas Wreath. Or Two. I am bad at decorating for holidays. Mostly because I am bad at keeping the clutter and mess at bay, and adding more things to the clutter and mess doesn't make things look festive. It just looks more cluttered and messy. So I am very particular about my decorations. I have to truly love it or it has to have some profound meaning for me to add it to the mess of the house. And by "this" I mean the felted wreath. Not the fake animal head. Oh I just love it so much. I discovered this wreath last year on the Pickles website. Beautiful. 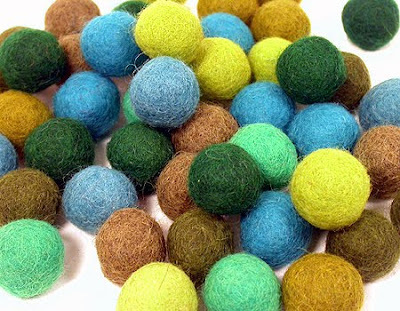 I found the perfect felted balls (see above photo), but the price of one bag of balls times the number of bags needed to complete the project equalled no project. But, like Pickles, I would love it too much to only hang it for one season, so it would probably stay over the mantel for a long time. 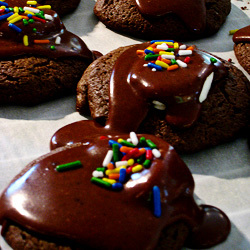 Which I would really love. 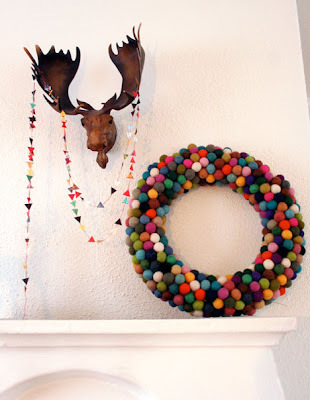 So maybe it will be a winter wreath...a little cash in my stocking could lead to flora-hued wool decorating my mantel. I'm not counting it out yet. 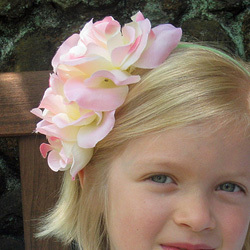 But since I found that photo last year, I have been looking for a wreath to hang over my mantel. So this year I made one. Out of coffee filters. And a dollar store wreath form. And some hot glue. And I hung the pom pom garland that the kids made last year, so at least I got my need for pom poms in there. I think I will make wreaths for every season. 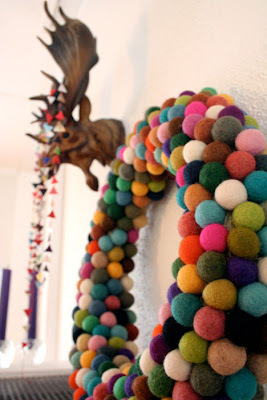 And since I saved so much money on this one, perhaps I deserve to splurge on my felted wool pom pom balls. And while at the dollar store, I collected a few supplies for Anna Jane to make her own wreath. 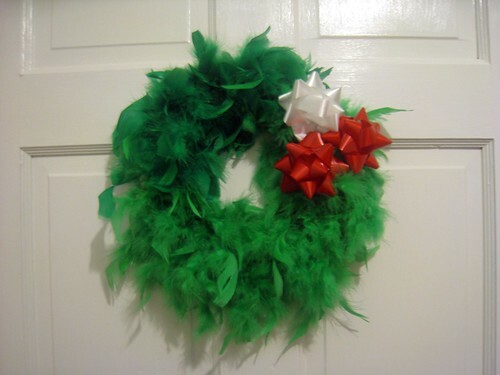 A green feather boa and a much smaller wreath form. Thanks for all of the comments on the giveaway post. I can't wait to pick a winner. And I really can't wait to make more trees! I will pick a winner tomorrow, so that I can ship on Monday! 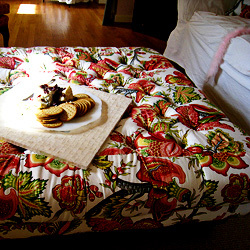 You need to be decorating your mother's house. I love all three wreaths. Boa wreath is too cute! I love all three! I tried to take that felting sheep class at K1S2 but it got cancelled. I was bummed. 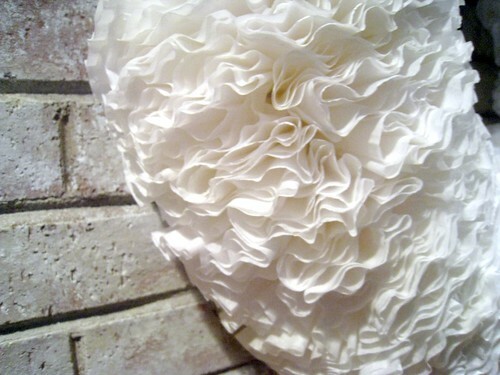 But I will have to try one of those coffee filter ones.. how about a little tutorial for us craftily challenged. 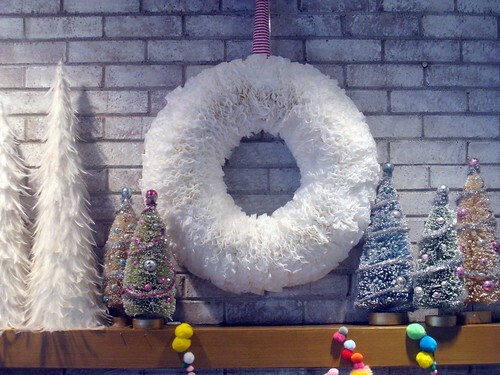 And I love the felt ball wreath too...thanks for the idea!